Google continues to differentiate mobile results from desktop search results, having recently announced interactive answers for tablet and mobile and a test for smartphone icons in smartphone search results. 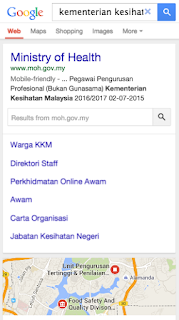 Did you even know that Google mobile search results (whether tablet, feature phone or smartphone) can be different from desktop results? In May of last year, I shared 14 ways they’re different. This year some differences have disappeared and others have taken their place, but in all, there are at least 16 known differences between Google smartphone results and Google desktop results as of this writing. Google announces separate changes for mobile and desktop in their search quality updates, so the fact that there are some differences between mobile and desktop results that marketers should be aware of shouldn’t be too controversial by now. Yet, I know this is a counterintuitive and even an unpopular notion in SEO at the moment. Yet, in spite of these comments, I’ve cataloged at least 16 differences below. If you’ve been keeping track, that’s two more than in May of last year, so mobile and desktop search results don’t seem to be varying any less over time. Google Places listings sometimes appear higher in mobile results than they do in desktop, and domains with local intent are more likely to appear. Figure 1: Web search results don’t even appear above the fold for query [chicago restaurants”], and only one listing appears above the fold for the Chrome incognito result, where 7 local results and a Web result appear above the fold on desktop. If you have a local business that you’re interested in optimizing, this makes Google+ Local optimization essential, and may even call for domains with geo-modified keywords, depending on your situation. This tactic may conflict with a desktop SEO strategy that would consolidate link equity into one canonical domain; but it may be most effective for mobile visibility. The key to making the right decision for your business is fully understanding the situation and possible consequences of your actions. Not ignoring mobile search. Optimizing for mobile suggest with a search call to action in broadcast advertising may help users find the high-priority content surrounding your brand that they might not have found otherwise. Autocomplete also searches your phone if you have it enabled. These push Web rankings down (see [weather] in Android and iPhone search, for example): In Jelly Bean’s updated search experience, a female voice also answers simple questions, negating the need to view the search results at all. Marketers who target these types of queries with interactive results may see a lower CTR, which might affect their selection of keywords in the first place. This would affect both their mobile and desktop campaigns. For example, video results are broken up on second line instead of placed on same line. Image results often appear higher in mobile search results. Image search optimization and video SEO often have a low priority in enterprise SEO, but if mobile is important to the business goals, this may change the overall priority. These can appear at the top (or bottom in Jelly Bean) (Web, Images, Places, more versus Web, Images, Videos, Maps, News, Shopping, Gmail, more). Fewer places to filter may mean a higher CTR in mobile search. This was demonstrated for mobile queries at Searchology 2009. While it’s unclear how many queries this applies to in the U.S. at present, the post-Panda user-focused search results make it likely to grow in the coming years. Update: I asked Pierre Far whether this was still a factor and he wasn’t aware of the algorithm. It’s clear, however, that in some queries, such as [download free ringtones], app store content appears on mobile and not on desktop, which is one application of Google’s patent for the algorithm that Scott Huffman demonstrated at Searchology 2009. If your target keywords for desktop SEO include these keywords, they may have different results with lower click through rates in mobile search. What’s more, certain queries are more likely to produce iTunes or Google Play results, pushing all core web search results down. If CTR and bounce rate data is used to determine ranking in smartphone results, CTR and bounce rate are more likely to vary in mobile smartphone listings. As listings in search suggest, abbreviated title line breaks and descriptions, unusable desktop sites in mobile results, increased engagement of mobile users and the variations in ranking and UI mentioned above are all likely to change click through rates and bounce rates for smartphone searches. It’s hard to know exactly how, though, as currently we have seemingly conflicting information from Google that mobile users scroll more than desktop users and that there’s a 90% drop off in CTR in mobile search results after position 4. Whereas it appears on the right in desktop, in mobile, knowledge graph information can make your Web search listing even less visible on a smartphone. Knowledge graph results for Miley Cyrus appear in the Web results in smartphone results, and to the right of desktop results. Even if the same query is returned in desktop search. 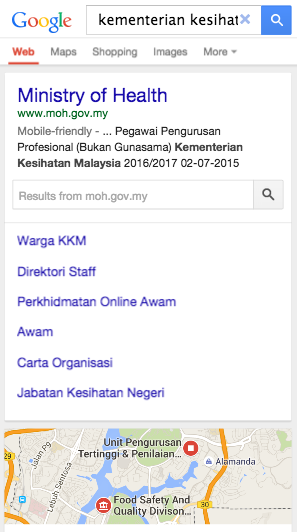 Not sure how this is determined, but it’s clear for some queries (like medal count), knowledge graph information is listed in desktop and not in mobile. Fewer distractions could mean higher click through rates on an organic mobile listing than the same one in desktop. This could increase click through rate for brands with mobile URLs thatproperly indicate as much to Google. This is a UI change, but in mobile results it acts as a visual SERP, allowing users to bypass the traditional search results altogether. Others have speculated that this could increase CTR to mobile friendly pages. This is just a test at the moment, but could, like mobile URLs, increase CTR from smartphone searchers who prefer mobile friendly content. The search results come in the form of cards, regularly performing routine searches in the background. Being aware of which types of searches are performed most often (e.g. sports, traffic, weather, etc). As with last year’s list, there may be more than 16 differences here, but these are the ones I was easily able to find. If you know of more differences between smartphone search results and desktop search results in Google, please leave them in the comments. I understand that if you’re just concerned with Web search, you may not think this is a game changer, as many of these differences don’t affect core Web search results. This is probably where Rand Fishkin and Pierre Far were coming from, as many users just aren’t going to notice or care that smartphone search results are slightly different than desktop results in 16 different ways. However, long gone are the days of the ten blue links, and rapidly diminishing are the days when you can afford to ignore mobile nuances if you want to get traffic from mobile search. A busy webmaster dealing with Penguin cleanup may not think of mobile search differences as an opportunity worthy of prioritization, but for an optimizer looking for more qualified traffic to her sites, understanding the differences between mobile search and desktop search might be what’s needed to take a search campaign to the next level.